After being sidelined in Darwin for a couple days while getting our car serviced, we were excited to be heading out to Litchfield National Park but sad to be leaving the air con. Thankfully there were ample swimming opportunities in the park. This does not include Berry Springs however, which is a park we visited on the way, only to find that swimming was closed for the season already. Wangi Falls was where we spent the first couple days camping, so we had several opportunities to go swimming there. 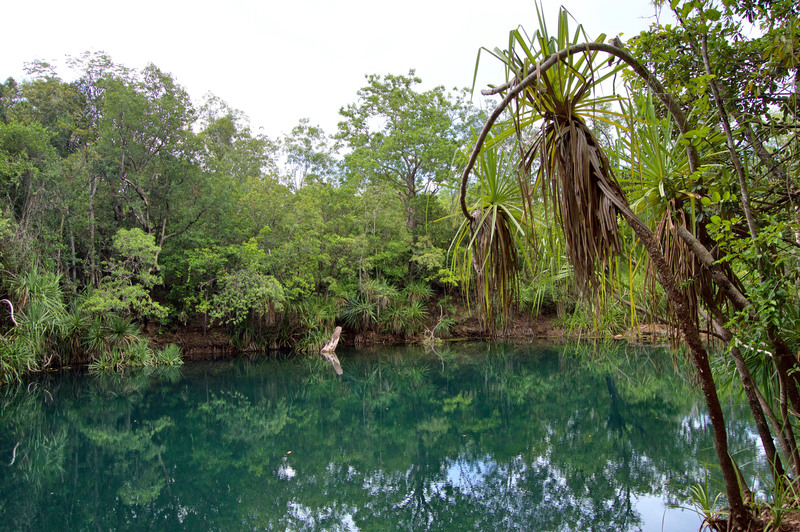 Wangi Falls are nice because they are a quick and easy walk from the campground, no trekking required. The day we arrived it had been raining earlier, so the falls were empty. The second day however was sunny so the park was pretty busy. The plunge pool is so big that it doesn’t really matter, although we were told it does get super busy during high season. Right now most of the visitors seemed to be day trippers from Darwin. Wangi Falls all to ourselves. 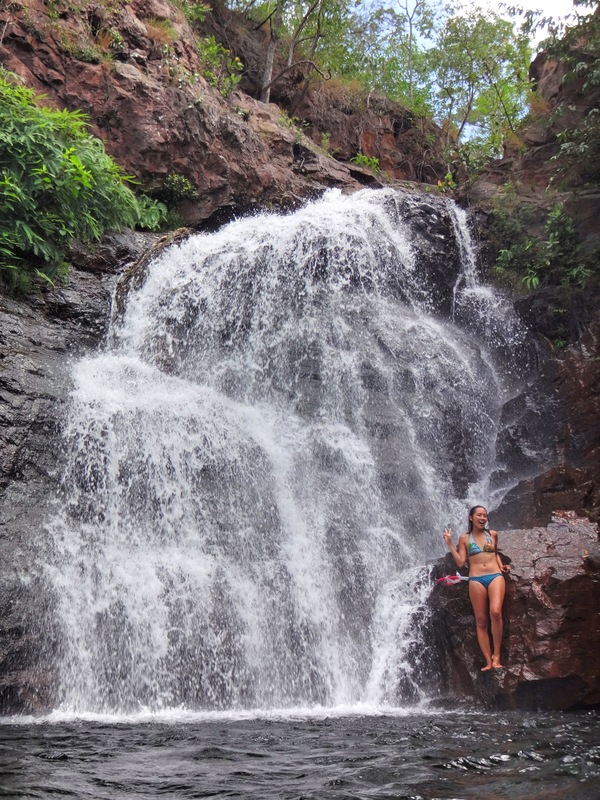 The best part of the falls (in my opinion) is this sweet little pool carved into the cliffside by one of the falls that you can climb up into and hang out in. 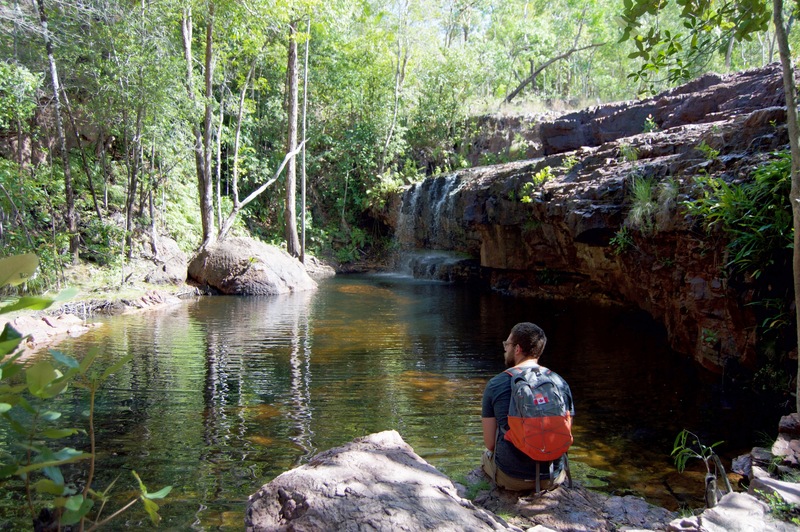 The Cascades are a short drive from Wangi and consist of a bunch of little cascading falls, leading to the Curtain Falls at the bottom. It’s an interesting trek to get to them, especially when the weather has been wet as the track gets pretty waterlogged. 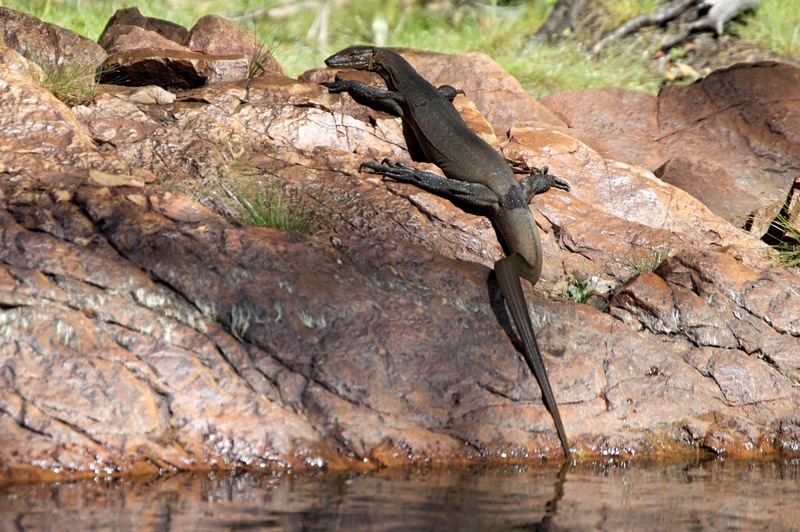 We were the only ones at the falls, save for a pretty big monitor lizard that was also having a swim. Curtain Falls at the Lower Cascades. 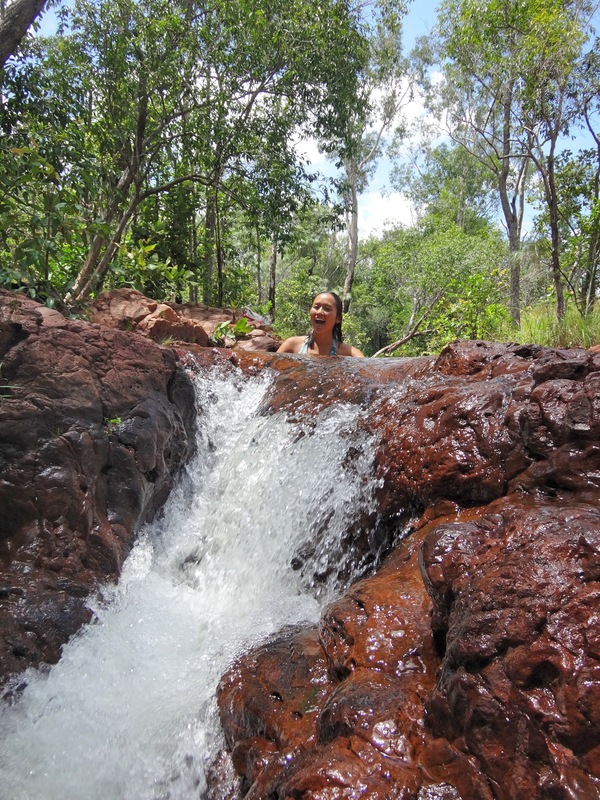 Florence Falls are sort of the headlining attraction of Litchfield National Park. 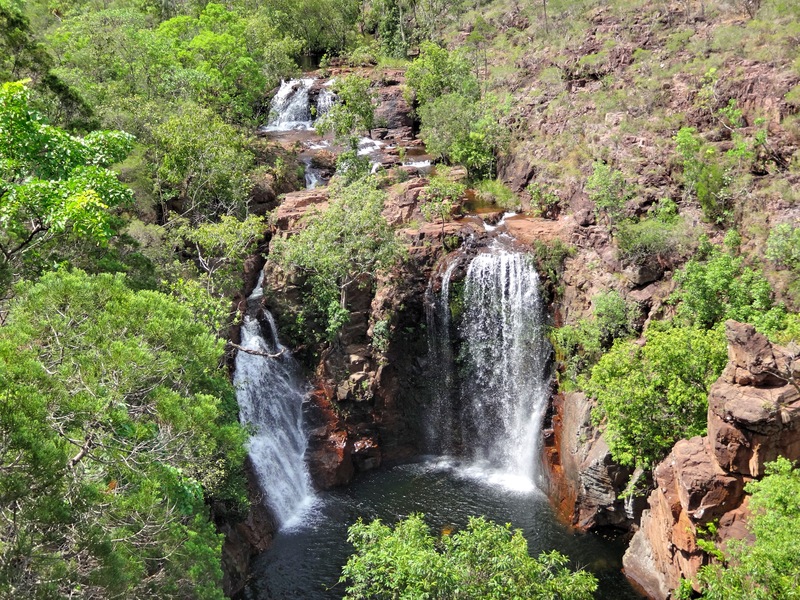 Unlike Wangi Falls you have to climb down over 100 steps to get to the plunge pool, but the falls are pretty big and impressive. 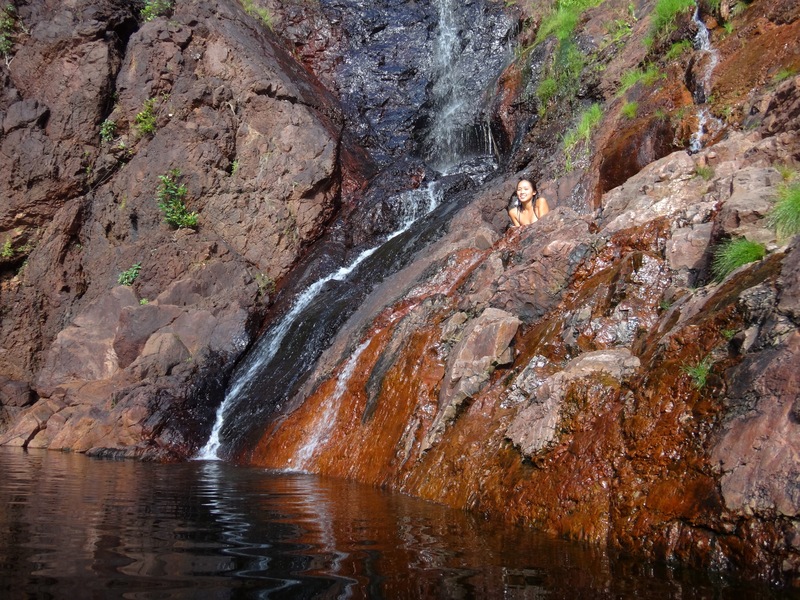 There are several good places to climb up the rocks and cliff jump into the pool, which many boys were taking advantage of, despite the various signs prohibiting it. Though the campground was pretty empty, there was a steady stream of visitors to the falls. 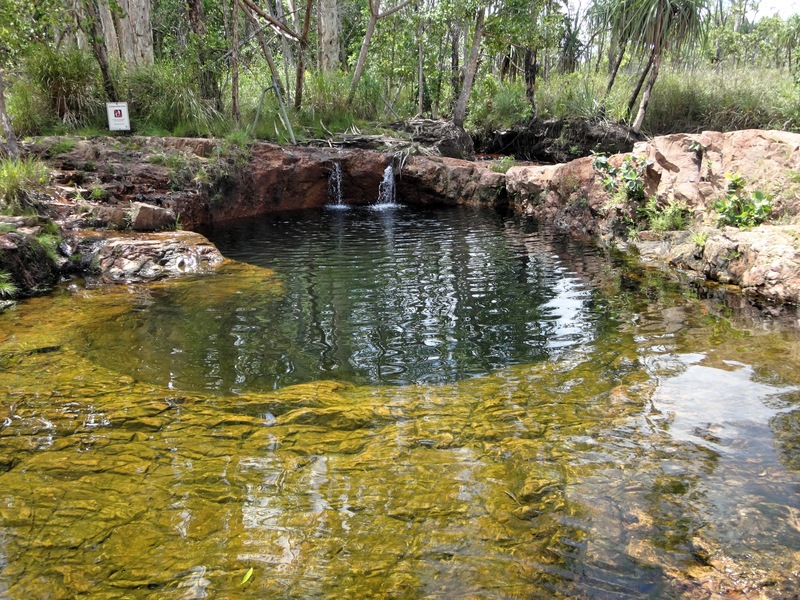 Buley Rockholes are actually a series of little plunge pools along the 2km stretch of cascading river leading to Florence Falls. Hanging out in Florence Falls. 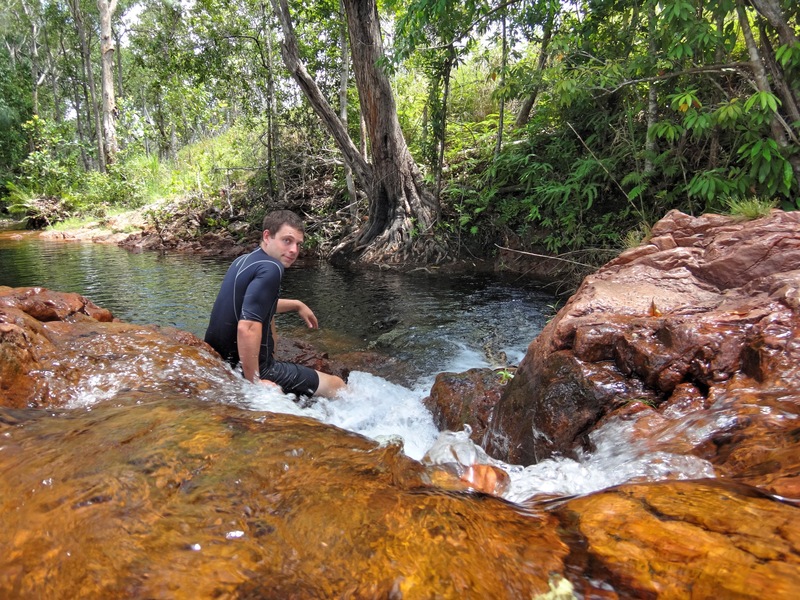 You can walk along them and find your own spot (not too difficult during the off season, but I assume much harder when the peak season crowds are around), or you can do like Chris did and float down the river from pool to pool, pretending you’re a crocodile. 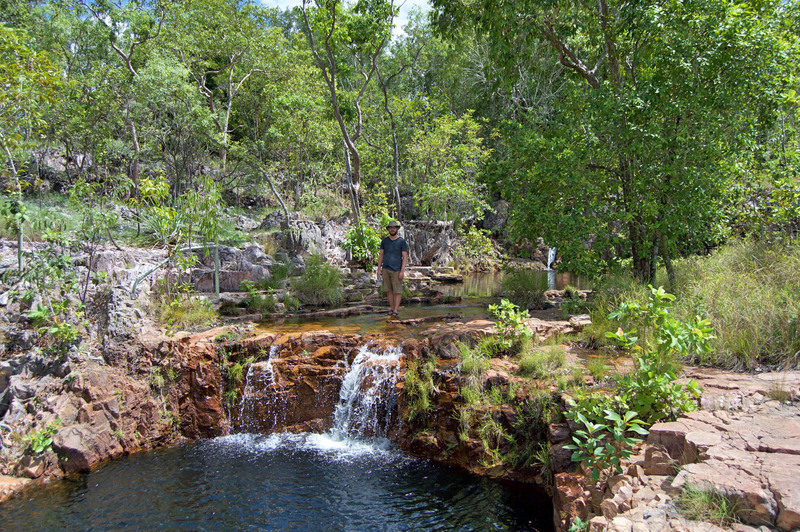 The little falls were very refreshing and fun to traverse, plus contained tons of fish, lizards, and birds. 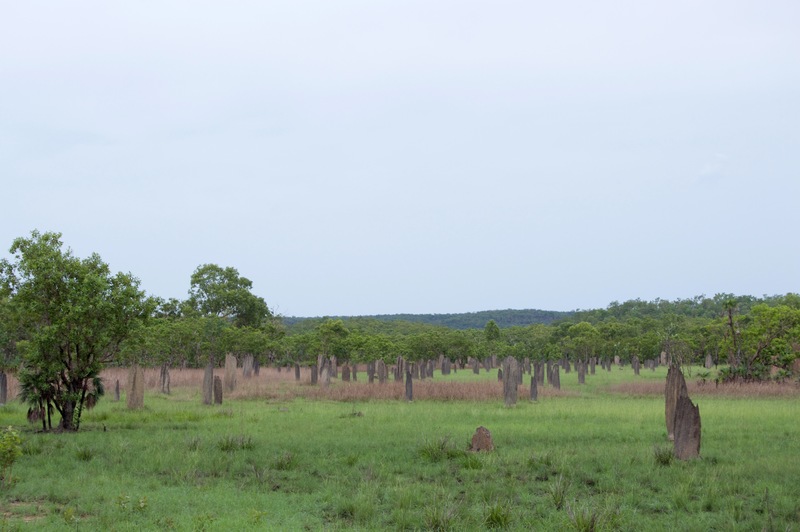 We stopped on our way out of the park to look at the Magnetic Termite Mounds. Magnetic termites are a species that build these weird flat mounds aligned north to south (for optimal sun exposure). 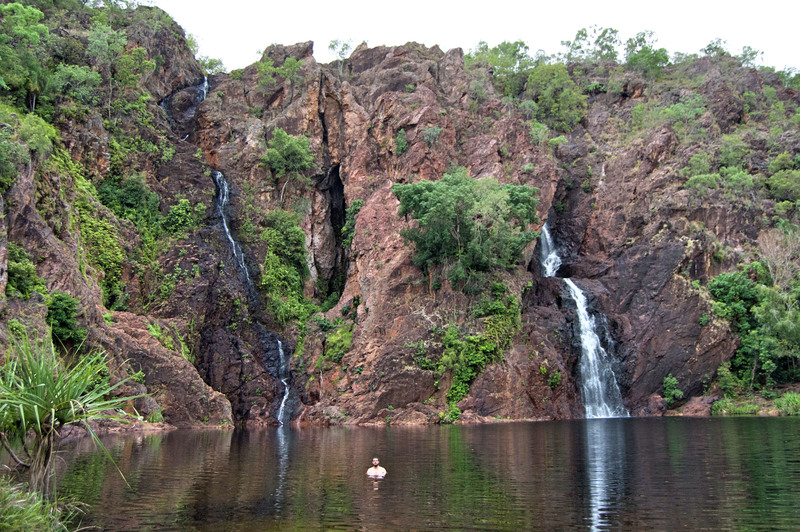 After we had sadly left the waterfalls of Litchfield, it was on to Western Australia! To break up the long drive we stopped at Gregory National Park on the way. The park’s 4WD tracks were closed for the season (to the great sadness of Chris) but the walks were still open, so we hiked around a bit to get some nice views of the Victoria River. The Escarpment Walk over Victoria River. We also stopped to see Gregory’s Tree. 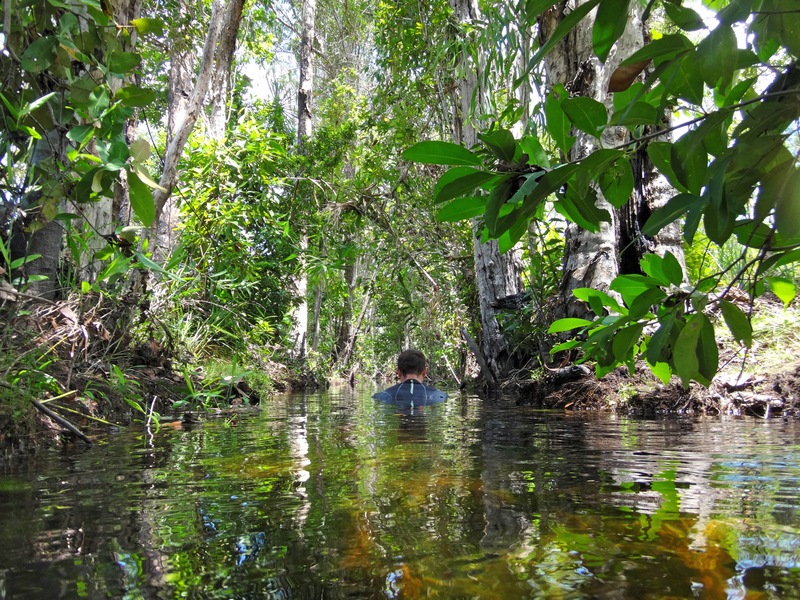 Augustus Gregory was one of the explorers sent to scope out the Top End for settlements. 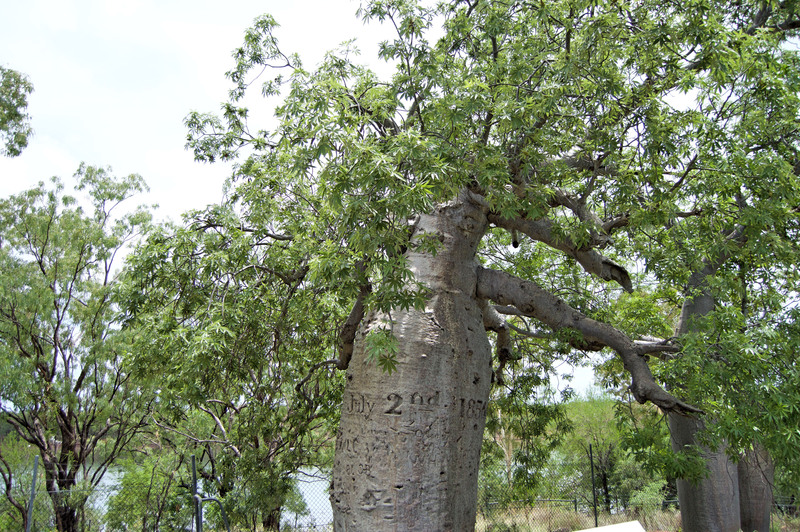 Gregory’s Tree is a giant boab tree on which the dates his party arrived and left are carved. Boab trees are an icon of the north west; they have massive trunks to store water and some are thousands of years old. 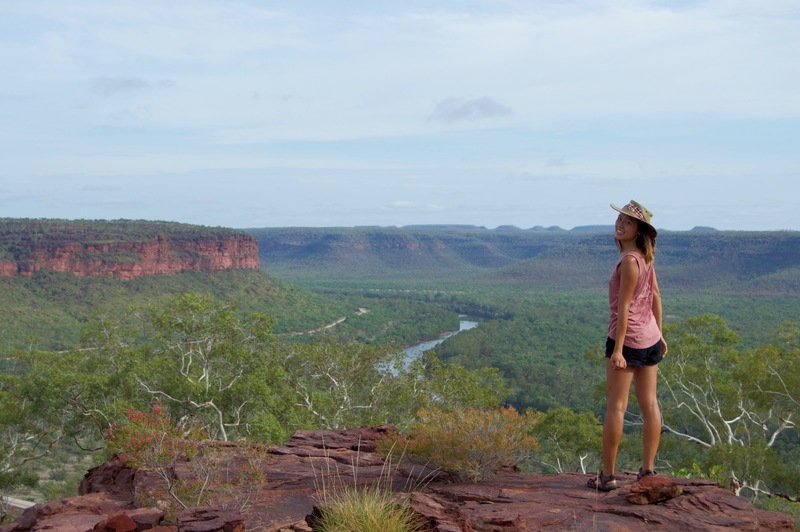 After we had finished in Gregory National Park we headed into Western Australia. Fortunately this time we remembered to eat all our fruit and vegetables before we hit the border, so we didn’t lose any food at the quarantine station. Learning!